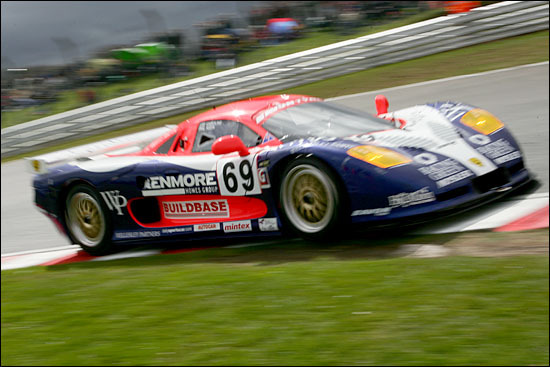 Team co-owner Chris Pollard was looking forward to another year’s competition, and this year, with the benefit of a season’s running in their Mosler MT900R under the team’s belt, and a strong driver pairing in Phil Keen and Lee Caroline, there should be a lot to look forward to. Most teams would consider a pair of podium finishes in the first races of the season as a dream start, but for Eclipse it was more a feeling of promise unfulfilled. Saturday morning’s practice session was a case of scrubbing some tyres in on a drying track, and putting some miles on the car. Despite the agenda, with the likes of Keen and Caroline at the wheel, it was obvious that they would try for a lap time once or twice in the 75 minute session. 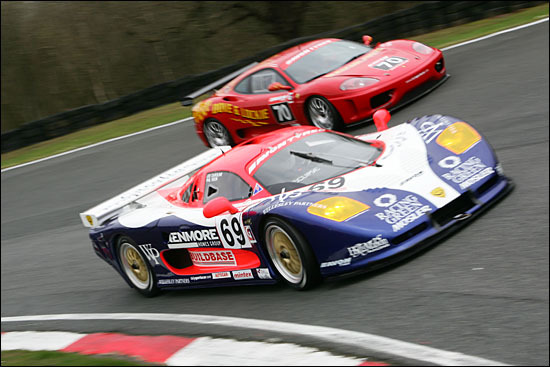 Number 69, the favoured Eclipse designation, appeared third on the timesheet by the end, with a 1:46.696, two seconds off the quickest time - set by the series newcomer, the Panoz. 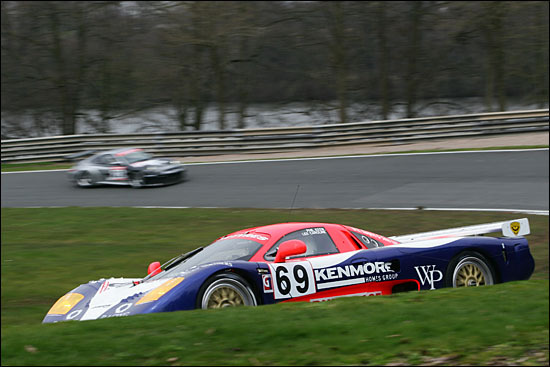 The track was completely dry by first qualifying and Phil Keen took the first of the two sessions, qualifying for the race later the same afternoon. Keen lived up to his name: as the lights went green at the end of the pitlane he was released behind Chris Niarchos, but he made his way past on the out-lap, giving himself plenty of space to attack. 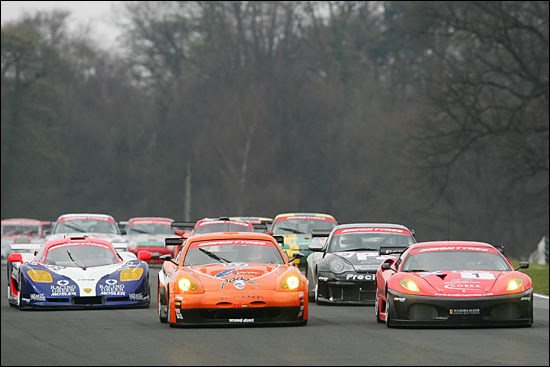 The LNT Panoz set the pace throughout the session. with the Scuderia Ecosse Ferrari always in pursuit. Those two had set the marker post for Eclipse to beat, and the chances are they will be the cars that will be up there fighting all season - and that is exactly where Eclipse want to be too. Eclipse was hampered by a tyre problem though, changes to the rear of the car weren’t backed up by any data for the new Avon control tyres, which left the team on the back foot. 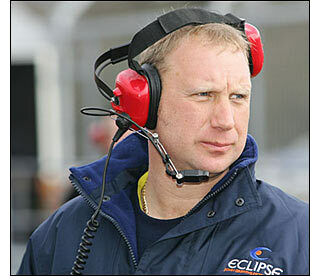 “At least we think we know what we need to sort out,” Chris Pollard offered after the session. Despite the tyre problem, Keen was able to retake third with a 1:44.895 after David Jones temporarily demoted him in the lone GT2 Porsche. Phil Keen didn’t have the luxury of a clear day to work on the car though: his race start was just two and a half hours after qualifying ended. The tyre problem was still there. Without data, the team was effectively feeling around in the dark. They could change one way and then completely the other way, maybe it would work, maybe not. With more tyre testing, the parameters will become better defined and tweaks to set-up will become more predictable, but this was no comfort to Eclipse now. 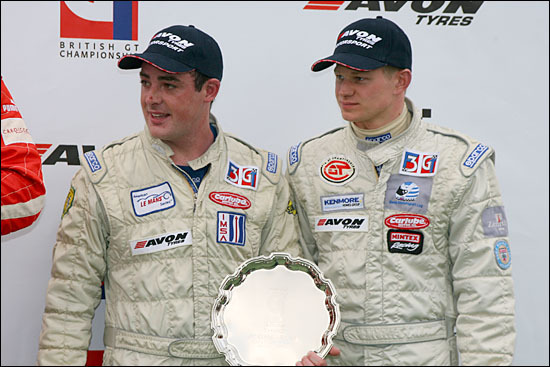 Despite leading briefly as the order was jiggled by pitstops, the rest of the race passed largely without incident, as both drivers fought to keep the car on the black stuff through the twisties. Caroline too agreed that the car “understeered everywhere, so I couldn’t get the power down without waiting for what seemed like an eternity. 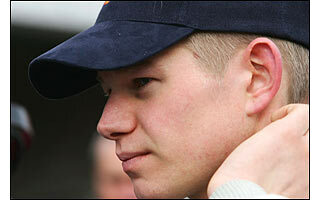 It seemed to get worse and worse throughout my stint.” They at least finished well clear of the Eurotech Porsche. Caroline still managed to make up two places on that first lap, then a further place when David Jones lost a lot of time and consequently positions, probably as a result of a spin. The two GTC leaders were next up in Caroline’s cross-hairs, but it was hard work for him to reel them in, let alone pass them. On lap 7, Caroline had hauled the wounded Mosler up to fourth, but was only able to lap safely in the high 1:45s, so the cars in the podium positions were already 20 seconds away. A frustrated and slightly dismayed Caroline handed over to Phil Keen almost exactly halfway through the race, but Keen’s role had already been determined. 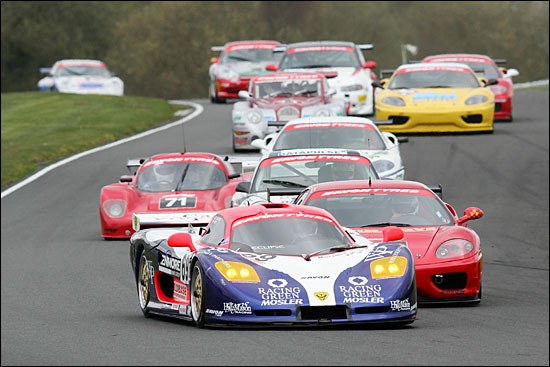 Keep a steady pace, don’t break the wheel bearing, but reel in Kevin Riley in the Rollcentre Mosler. 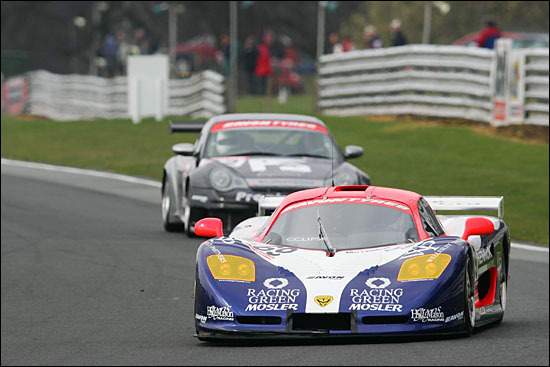 Riley was 26 seconds ahead when Keen emerged from the pitlane, but the Eclipse Mosler posted two laps five seconds quicker, then two laps six seconds quicker. 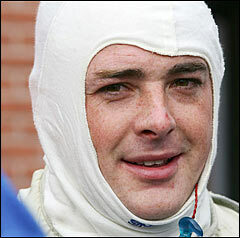 12 minutes before the chequered flag and Keen was through, with the car’s best race lap of 1:45.361. He fulfilled his role perfectly, doing a great job for the team and getting the car home in one piece, not to mention a highly creditable third spot overall and in class. The team consider that those two third places were only creditable given the circumstances, and although racing and beating the Panoz and Ferrari is an almighty challenge, it is one that Eclipse will doubtless relish.